**At Sacred Heart we strive to produce the very best in health and temperament. Our emphasis has been and will always be to the development of mind as well as body. Our puppies are born and raised in our home with lots of love and commitment. We spend many hours socializing and exposing them to new and different situations and experiences so they will be ready to adjust to their new homes quickly. 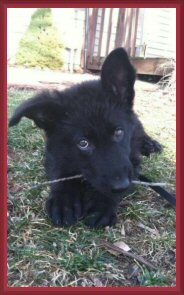 All of our puppies leave here with up to date vaccinations, fully wormed, well socialized and a puppy starter kit. 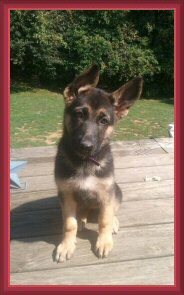 This kit will include AKC registration papers, signed sales contract, pictures of the parents, 4 generation pedigree, shot and worming record, veterinarian health certificate, health guarantee and a starter kit from Purina Pro Plan which includes feeding instructions, housebreaking tips and crate training guidelines as well as food to get you started. We promote responsible dog ownership and strongly recommend puppy obedience classes and we will certainly help you find one in your area. 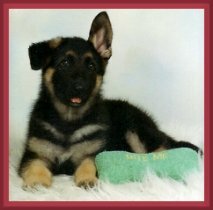 All of our pet puppies are sold on Limited Registration and cannot be used for breeding purposes. 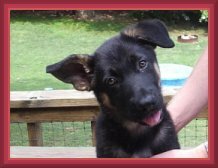 We do not ship puppies and only place puppies in homes as housedogs and family members. Although we put every effort into placing our puppies in stable permanent homes, unfortunately. unexpected situations happen. 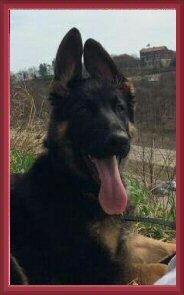 If, for any reason, you would have to part with your puppy or adult dog, we would certainly accept and expect to take him / her back. 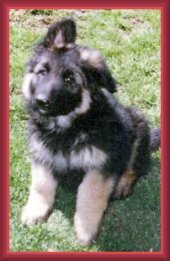 Our puppies are precious to us and we are very careful in placing them in stable loving homes. We prefer to get to know potential puppy buyers on a personal level. 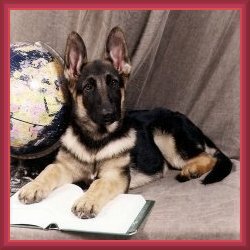 If you are interested in the unconditional love, companionship, protection and loyalty that a great German Shepherd can provide, and you can provide a loving, stable and permanent home, please contact us! 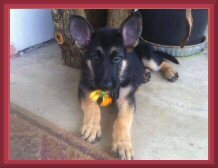 All pictures and graphics are owned by Sacred Heart German Shepherds.